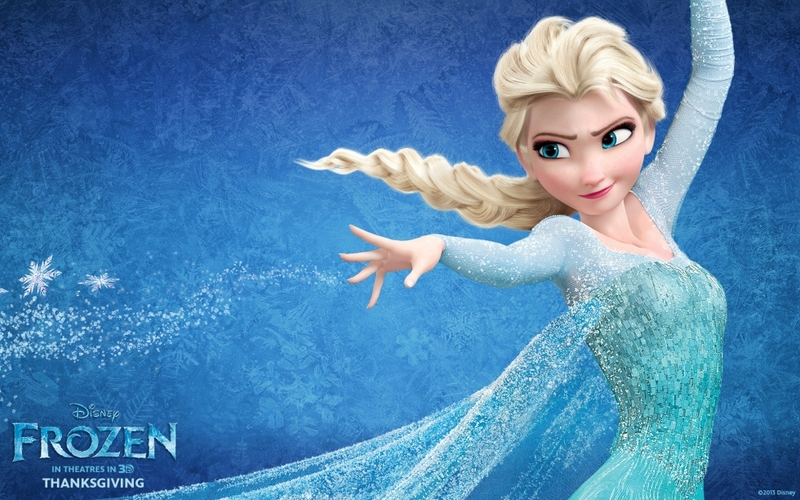 I had almost forgotten how much I liked the song “Let it Go” from the “Frozen” soundtrack. I mean, who doesn’t like it? But it had been a while since I had heard it. For some reason the kids wanted to listen to the CD yesterday, so when I got in the Suburban this morning to come to work that’s what I heard. And believe me, I was JAMMIN’ OUT! That’s a phrase from the 80s, sorry. Anyway, so I’m embarking on the half mile trek to the studio and I’ve got it cranked up. Had I been in a convertible you better believe the top would have been down. In my mind I’m picturing Princess Elsa in all her hotness, parading up that mountain. Yes, I said it. Princess Elsa is hot, especially for someone who is two dimensional. I mean, she’s no Jasmine, but she’s right up there in the world of animated hotties. I’ve included a picture for you non-believers. No right, no wrong, no rules for me……I’m freeeeeeeeeeee! What?!?! What did she just say??? Did you ever notice that? I didn’t, until this morning. Let it sink in. No right. No wrong. No rules for me. Yes we need to teach our children to be strong independent thinkers. Yes we need to empower them. Yes we need to provide them with the tools they need to be productive. But there IS a right, and there IS a wrong, and we need to teach them that too. And sadly, yes there are rules. Some of which were made to be broken. The majority of which should be followed. It’s just my two cents. What do you think?